MILAN — There was to be no record for veteran forward Fabio Quagliarella at the weekend but plenty of plaudits and an Italy call-up to boot. Having matched Gabriel Batistuta's 1994 feat of finding the net in 11 consecutive Serie A appearances, Quagliarella was looking to set a new record when his Sampdoria side faced his hometown club and former team, Napoli — two days after he turned 36. However, Samp lost 3-0 on Saturday. "I tried to beat it but it was hard against Napoli," Quagliarella said on Monday at Italy's two-day training camp. Quagliarella is nevertheless having an extraordinary season and has scored 16 league goals for Sampdoria. Only Cristiano Ronaldo has more, with 17. That form got him a summons from Italy coach Roberto Mancini for the training camp, eight years after his last appearance in an Azzurri shirt. He scored seven goals in 25 matches for Italy. "When they told me about the call-up I asked, 'But does Mancini want me as part of his staff or as a player?'" Quagliarella joked. "Given my age I have to maybe play it by ear but what a joy to be back with Italy at 36. "Hard work always pays and the seriousness with which I do it is my secret. I always push to the maximum in training, I take a lot of care with what I eat and I try to rest a lot." There was a touching moment at the final whistle when Quagliarella was embraced by his fellow Neapolitan Lorenzo Insigne. "I have great respect for Fabio," Insigne said. "He's a great champion who deserves his record. I was hoping he wouldn't score today, but I'm certain he'll continue to find the net right from the next game." A trip back to Udine was always going to hold terrible memories for Fiorentina. Fiorentina captain Davide Astori died on March 4 of a suspected cardiac arrest in his hotel room in Udine, where the team was staying ahead of a league match against Udinese. He was 31. There was a long applause in "memory of Italy's captain" from both sets of fans before kickoff in Fiorentina's match at Udinese on Sunday, and banners displayed by the visiting fans. That applause was repeated in the 13th minute, along with chants in Astori's honor because the defender wore the No. 13 shirt. "Returning to Udine, preparing for this trip opened up a huge pain for us," Fiorentina coach Stefano Pioli said. "We approached it in the best way possible ... it will never be a normal match. "Having known him, I am convinced that Davide would be proud of how we are doing." All is not well at Juventus and there are signs of cracks appearing in the Bianconeri camp. 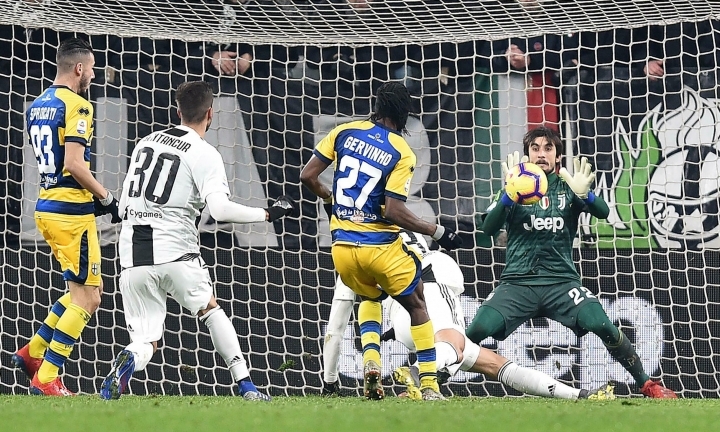 League leader Juventus dropped points in Serie A for only the third time this season as it was held at home by Parma to 3-3. Forward Paulo Dybala was an unused substitute and he left the bench when coach Massimiliano Allegri made his third and final change. Allegri played down the incident. "I didn't even see that, maybe he was cold," he joked. 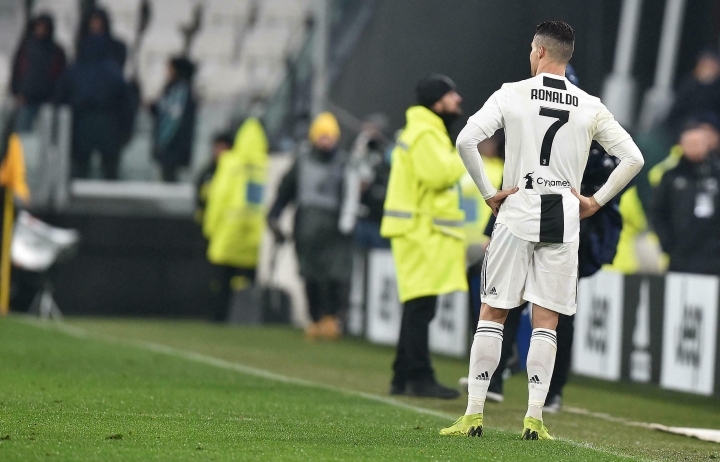 The Juventus coach was in a less jovial mood when talking about his side conceding three goals for the second match in a row, following Wednesday's Italian Cup exit to Atalanta. 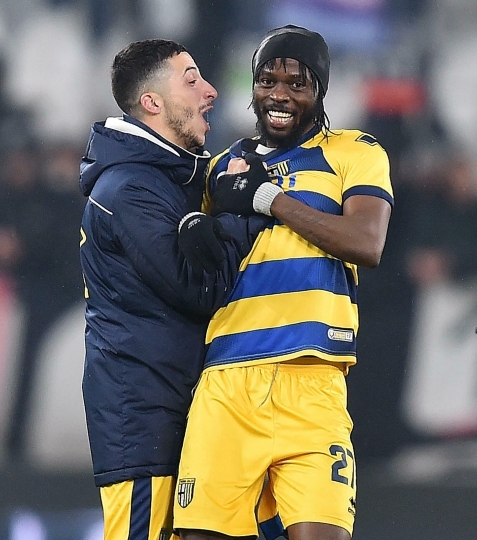 Parma's third goal was entirely avoidable as, deep into stoppage time, Mario Mandzukic tried to play the ball at his own corner flag and it fell to Gervinho for the equalizer. "You can't try to play a ball in that area in the 95th minute," Allegri said. "The match was over, the ball should have been kicked into the stands. It's part of how you manage matches. "We were sloppy in defence, we made mistakes for their second and third goals." It should, however, be just a blip in Juve's march to a record-extending eighth successive Serie A title. 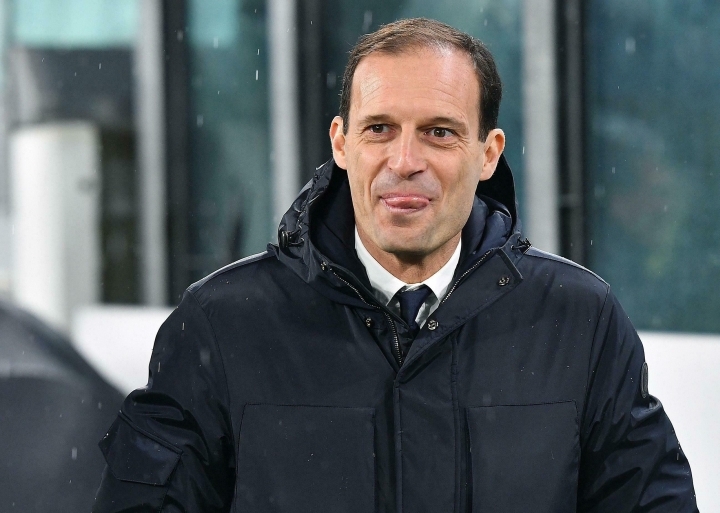 Allegri's side has an eight-point advantage over second-place Napoli. "It doesn't change much," Allegri added. "We have a good lead in the standings but we shouldn't start taking things for granted."